Currently we have the capacity for 60 beds, of which 22 are in the Alexandra Wing. All rooms in the Alexandra Wing are single and feature en-suite bathrooms and a built in overhead hoist systems which makes moving residents with mobility problems much safer and easier. The Alexandra Wing was completed in September 2005 and officially opened by our President HRH Princess Alexandra, the Hon. Lady Ogilvy, K.G., G.C.V.O on the 2 February 2006. 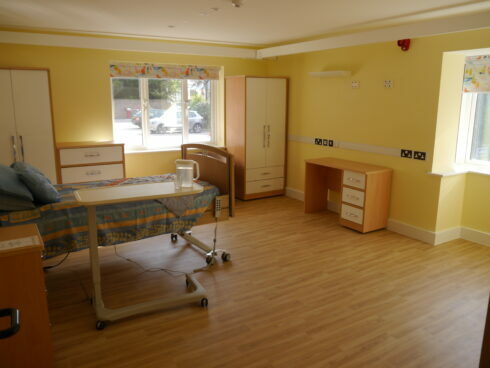 We have a further 38 beds in the Norfolk Wing and Richmond Wing, which are single and twin rooms, all of which went under refurbishment in 2009-2011. Our bath and shower rooms have undergone extensive recent remodelling and now feature exceptional washroom facilities. In 2014, the Care for Veterans kitchen was refurbished thanks to a major donation from the LIBOR Fund, completing the planned improvements and ensuring that all our services remain exceptional for the benefit of our residents.